LG-320 laser sights for Sig Sauer P220 pistols feature a rubber overmold construction around a sturdy polymer-grip frame. Providing great comfort and ergonomics, this grip features dual side activation allowing the laser to instinctively spring to life when the weapon is hold in a normal firing grip. 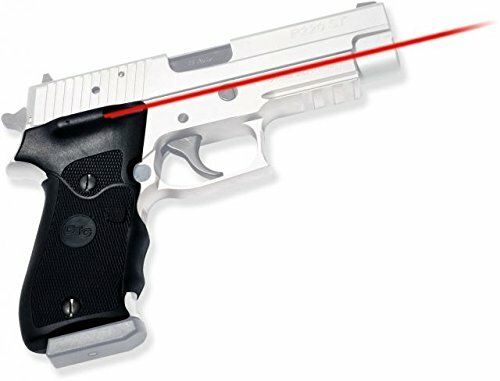 Crimson Trace LG-320 Lasergrips further enhances the defensive capabilities of one of the most widely used and trusted professional and personal carry pistols in the world. INSTINCTIVE ACTIVATION: Dual side activation buttons engage the laser immediately when the firearm is held in a normal firing grip. This is the feature that sets Crimson Trace apart from the rest.